Until a few months ago, I drove a 1995 Honda Odyssey. It wasn’t the age (17 years), color (maroon), noises (an intermittent donkeylike braying that no mechanic could positively identify), or rust (yes) that bothered me, or that fact that the gas pedal didn’t really make it go, or that, near the end, the brake pedal didn’t really make it stop. It was the cupholders. They did not fit any cups. And the part that bothered me wasn’t my inability to imbibe and operate. [i] It was philosophical: Honda had rolled out a line of vehicles WITHOUT EVER SEEING IF THE CUPHOLDERS COULD HOLD A CUP FIRST. I teach writing. Therefore, I create writing assignments for my students. Therefore therefore, I try out the writing assignments myself before I assign them. Just to make sure there aren’t any problems that become obvious only after the writer begins. 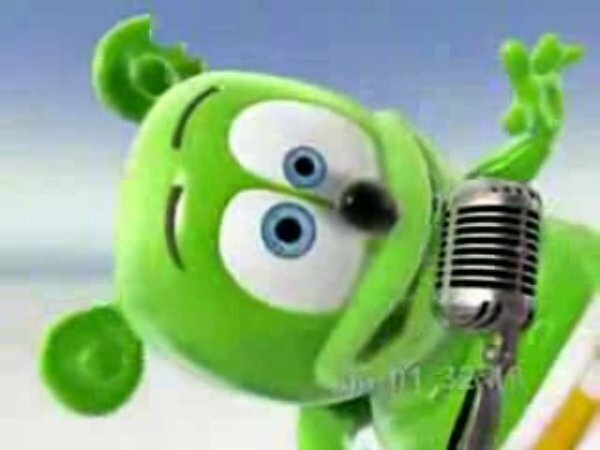 And not necessarily to change the assignment, but at least so that I can anticipate complaints. Sometimes, I like what I’ve written. This blog entry began life as a test drive on an assignment. But I don’t really think of them as test drives. I really think of them as trying to put a cup in the cupholder first. If nothing fits, I can’t distribute the cupholder. When an earthquake rips through the afternoon lull, trapping these nine characters together, their focus first jolts to their collective struggle to survive. There’s little food. The office begins to flood. Then, at a moment when the psychological and emotional stress seems nearly too much for them to bear, the young graduate student suggests that each tell a personal tale, “one amazing thing” from their lives, which they have never told anyone before. And as their surprising stories of romance, marriage, family, political upheaval, and self-discovery unfold against the urgency of their life-or-death circumstances, the novel proves the transcendent power of stories and the meaningfulness of human expression itself. 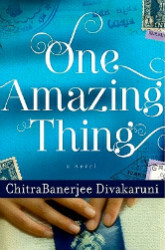 As you have been reading One Amazing Thing, you may have been wondering what “one amazing thing” in your own life might be. What makes an experience stand out, be “amazing,” “sublime,” and how can it change a person and influence his or her future life, for better or worse? Reflect on and write about one such “amazing thing” in your life and compare it in some way with at least one of the stories told in One Amazing Thing. Your essay should be no more than 500 words. Seven years ago, in the pre-Cambrian before Facebook made it easy, Angela contacted me to find out what happened to me and her other peers from Public School 208. I had not heard from her in over twenty years. I heard from her first, I inferred, not because we were friends, but because she simply found me, since I’m the only person in the world with my name. I replied, cramming high school, college, grad school, marriage, two (at the time) kids, two cross-country moves, and my book (a gratuitous, narcissistic, and necessary inclusion) into a short paragraph. The first sentence began with “I…”; all subsequent sentences began with “And then I….” Angela put me on an alumni email list. Then I forgot about her. A week later, Angela emailed again. This time the letter was longer. She was putting together a website. She needed detailed biographies, she needed pictures, she needed contact information, she needed phone numbers of lost friends. But my semester was starting, and I casually ignored her. The next week, the demands grew: where were the pictures, the updates? She had started the website and sent subsequent blog invitations. But where were her bloggers? (I will never blog, I harrumphed.) She threatened to call. Then she did call and left a voicemail. Her message sounded vaguely menacing. She was getting harder to ignore. So I checked the website and saw that the enticements—or possibly the threats— of nostalgia had worked: there were pictures of P–, a lawyer; of A–, widowed at a decade earlier with two toddlers; J–, a dentist living in Florida; I–, a bearded accountant who had just married a Panamanian; S–, an elementary school teacher in Queens. Many of our former teachers were dead. Angela wrote by far the most, varying tragedy and conceit: her father had died of emphysema, she was a published poet, her partner had brain cancer, she lived happily in Connecticut. Many of their parents were dead, mostly of cancer. The bad news was upsetting. But so was the good news. Worst were the pictures. No one looked anything the way I remembered. They looked like their parents. The emails continued, abuse and contrition: more threats, more pleas, more updates. Two months after I had received that first email, I had collected over a dozen more. Reading them together, they seemed a strange collage of obsession. Their goal, their longing, their desire to piece together a lost childhood, failed utterly: the retreat into the past, into the urban idylls of 1970s Brooklyn, was a futile talisman against the death all around her. Instead, it became a reminder that, at best, we were all twenty years—and now, today, twenty-seven years—closer to death than we were when we last saw each other; and at worst, any one of our loved ones, any one of us, could be taken at any time. A part of me wishes that I didn’t know what happened to Angela, P–, A–, J–, I–, S–, and the rest of them—a litany of names that grew exponentially when I joined Facebook a year or so later. If I didn’t know anything, in my mind they could stay children forever. If they had grown up, then so had I.
I received one more email a month later, from J–, another former classmate. 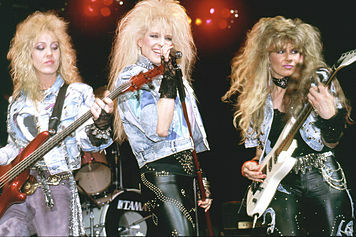 Angela had died of an aneurysm. It’s a twist that, had I read it in a novel, I would have found cheap and tawdry, the boneheaded hack irony of a 13 year old who had discovered O’Henry. But it was real. And in the worst senses of the word—“causing great surprise or sudden wonder; awful”— her sudden discovery, and abrupt loss, was amazing. OK, I didn’t actually compare what I wrote with one of the stories in the book, and I didn’t do a word count, so I guess I have to be docked a few points. And the word “amazing” is inelegantly shoehorned in at the end. But it does look like the assignment can hold a lot of cups. And each cup will hold something different, and amazing, for each writer as well. 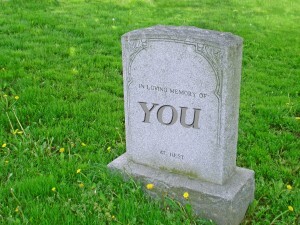 This image is intended as comic relief after a heart-wrenching piece of writing. [ii] Does a blurb on a book cover or on Amazon.com count as a “spoiler”? Short answer: No. Long answer: it depends. Read more about my take on spoilers. *Nobody likes a sarcastic endnote. [v] By which I mean “refrain from inflicting or enforcing.” Not pay. Contrary to Marc Prensky‘s popular binary, I don’t see myself as a digital native, or a digital immigrant. 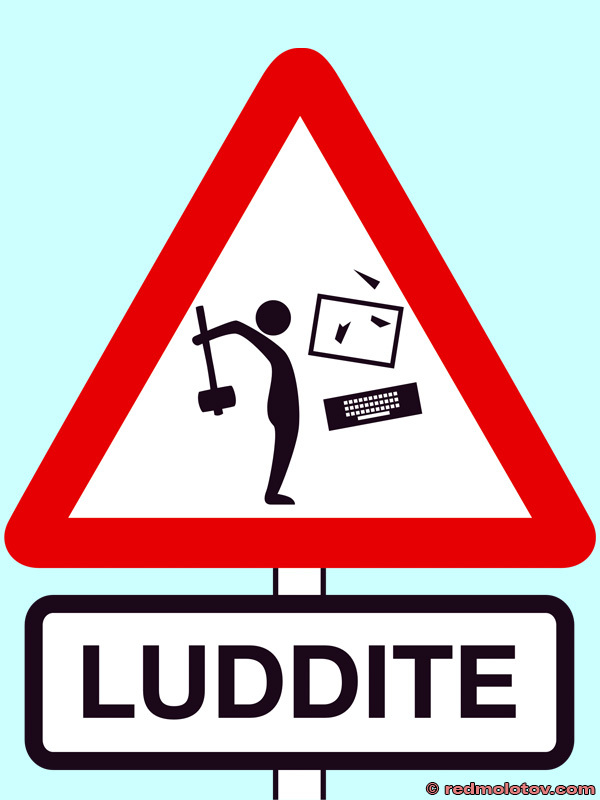 Rather, I am a reluctant, reformed Luddite, washed gasping onto your shining silicone shores of technology because the formerly lush pre-technology terrain has ebbed and eroded beneath my feet. So I used a laptop as a life-preserver and floated across the digital divide, trying not to drown. No, I am no digital immigrant, one who came here by choice following the dream of electric sheep and your Statue of Technology’s gleaming beacon, a flickering iPod held aloft. I am a digital refugee. I don’t speak the language. But now that I’m here, I’ve come to discover that, just as there are activities that thrive in the face to face world—or, worse, “F2f,” the shorthand for what used to be called interacting, talking, or being human—there may also be opportunities that technology creates that are not pale imitations of personal contact or just more expensive versions of previous, now obsolete technologies like paper, paint, or vinyl. Rather, there may be whole new avenues to travel, channels to explore, waters to drink. Two weeks ago I wrote about the things I learned after six months of blogging, focusing on how I felt to get page views and to view how readers viewed me. And that was interesting and enlightening for me in a kind of techno-sociological way, my time-traveler’s view of my strange new home in the future. So on the surface, the least blogging has helped me see are the ways in which I can now easily and frequently incorporate images, video, and links into posts. It’s plenty fun and entertaining for me (and, I hope, others), which I do not denigrate. But it has also helped me to learn more about the creative process, something I was very interested in well before six months ago. I started this project with the hourman concept—one topic covered in sixty minutes of writing, and, as I’ve said, I’ve mostly stuck with it. But what I haven’t discussed is what I’ve done with that writing time. It has occasionally been linear, the way students are forced to write essay exams in school, or the Alice in Wonderland approach: “Begin at the beginning… and go on till you come to the end: then stop.” But mostly, while I may spend the hour composing, I spend the day, or sometimes week before, composting, to borrow the metaphor of writer’s writer Natalie Goldberg. Before I even sit down, and before I start the clock, I already have my topic, my angle, even if it’s vague, and preferably, my way out. I’ve always believed in the importance of endings—one of the things I try to emphasize to my writing students is that you can’t tack on a conclusion. Perfunctory, fake conclusions sound like this: “In conclusion, here’s what I just said.” But now, I take them even more seriously. Like a good war, a good piece of writing needs to plan its exit strategy before it even begins. But I also now build the link and image searches into my writing process as well, so that I’m not simply writing for an hour, then looking for apt an entertaining images or videos, or deciding in the editing and posting process which terms or ideas would benefit from or be bolstered by a missing link. Instead, I Google as I go (possibly sing to “Whistle as I Work”? ), and often enough, something that I see online gets me rethinking what I’m working on right then and there. 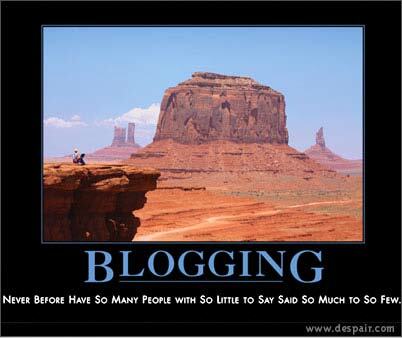 Blogging allows for a less hermetically sealed approach to writing: not the frustrated, isolated Artist on a mountaintop, quill and parchment in hand, awaiting divine inspiration—nothing that I’ve written would merit that kind of pretention anyway. But rather, writing online, using online tools, for online readers, has challenged the digital native/immigrant/refugee metaphor’s very foundation. John Donne knew that no man is an island. But every link, piece of writing, image, reader, and writer can become part of a vast digital island chain, a sweeping archipelago connected by legions of lightspeed Google ferries. In addition to challenging the pseudo-Romantic cult of the lone writer, blogging has also challenged my romantic idea of creativity. Too often, we imagine writing can be blocked, as though it were a physical and terrestrial thing. 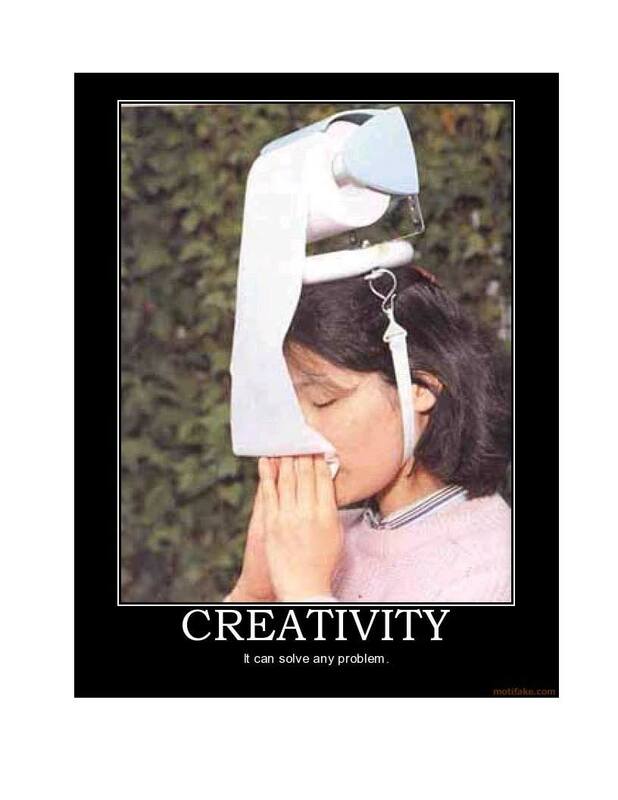 But if creativity is water, it flows and resists blockage. Yet water may not be the best metaphor now, since water can indeed be dammed. And while people do refer to writer’s block when they can’t produce, I don’t think that blockage is really the best metaphor for creativity or lack thereof either. Nonwriters don’t get blocked; only writers do. So what writers mean is that their creative process is like agriculture: it is capable of being grown, harvested, and exhausted. We can overfarm and deplete our imaginary crops or clearcut our creative forests, leaving a fallow period of, we hope, restoration and germination. We hope the ideas will come back, but we never know. So when I committed to one blog post per week, I wondered how soon I might, shifting to another familiar metaphor again, burn out. But instead I’ve come to think of the writer’s ideas as fire. Yes, Plato, Prometheus, and Jesus beat me to this metaphor, but I think it’s a crucial one: rather than thinking of ideas as blocked vs. flowing, or developing vs. producing, we can think of them as a flame. When we take from the fire, it does not get any smaller. With the right conditions—air, kindling—it can perpetuate itself indefinitely, producing and reproducing at any rate. You can’t put out a fire by taking from it; rather, that’s how you make it grow. 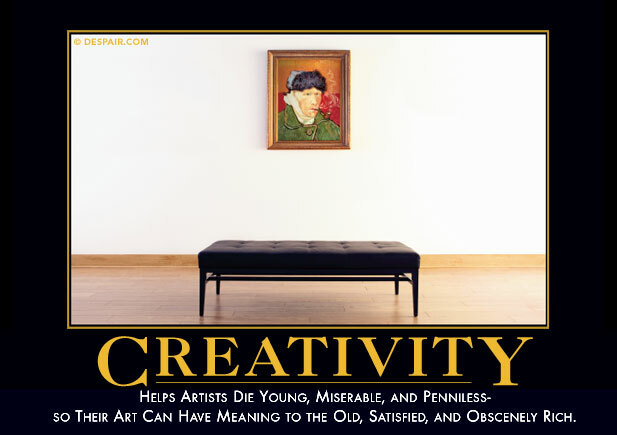 Creativity can operate in this way, too. It does not need to burn out at all. Yet even the fire metaphor falls short in describing what I’ve learned. The commitment I’ve made to writing this blog—a commitment that has no obvious benefits, no product to push, no money to make, no political agenda, and no foreseeable purpose at all—is a reminder of the cliché about life being about the journey and not the destination. A little trite, though, so let me update it: life is about the journal and not the desperation. Time: just under an hour. And I didn’t have this ending planned at all—it came as I wrote it. So much for what I’ve learned. I’m teaching Henry James’s “Daisy Miller: A Study,” a very frequently taught short story, in my just-started American lit class. If you haven’t read it, or read it a long time ago, it’s an ostentatiously written drama from 1878 about a group of privileged Americans living in Europe and their reaction to a new-money girl, the title character, as seen through the perspective of Winterbourne, a young man who finds her, in a word repeated a million times, “pretty.” Nearly everything about the story is ambiguous or could be argued from either side, which is one of the reasons it works so well in a class: is Daisy a strong, free-spirited proto-feminist, or a foolish girl? Does she understand the way the vicious polite society talks about her behind her back—and if so, what does this say about her behavior? Does Winterbourne really love her—or does Daisy really love him—or are they both toying with each other in different ways? Does Daisy—does Winterbourne?—understand what she—or he?—is doing? Does Daisy’s [do I really need to say Spoiler Alert about a story that’s over 130 years old? Fine. “Spoiler Alert.”] death at the end suggest a misogynistic society, a kind of death wish, recklessness, or just a fogey author who needs to punish his own literary creation? Is Daisy “innocent”—another repeated word throughout the story—or, in the words of Jimi Hendrix, experienced? Is this even a fair question? Does Winterbourne experience an epiphany at the end thanks to some revealed information, or has he learned nothing? And over a hundred years of scholarship more. HOWEVER. For all the complexity, intricacy, and layered ways of reading, one aspect stands out: for all of James’s painstaking realism and period detail—clothes, speech, scenery—Daisy’s and Winterbourne’s names are so heavy-handedly symbolic that they threaten to bring everything down. “Daisy”=fresh, lovely flower; “Winterbourne”=bearing or aspiring toward cold. ‘Cause you know, winter kills flowers! So much for subtlety. 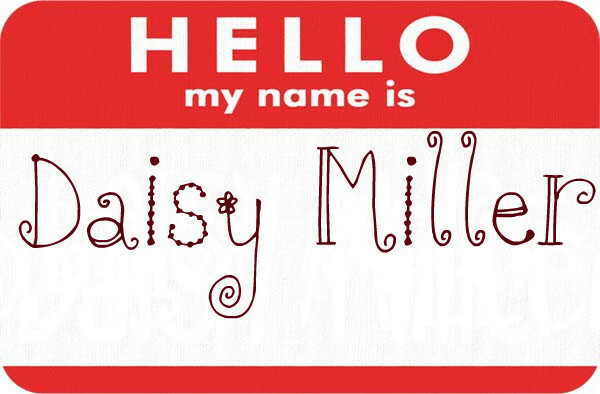 Maybe it’s more complicated—Daisy’s real first name isn’t even “Daisy;” it’s “Annie.” Her last name “Miller” could be analyzed, and Winterbourne’s first name, “Frederick,” could be worked in. But the headline “WINTER KILLS FLOWER!” is inescapable. Last month I wrote about Lev Grossman and The Magicians. As much as I love the novel and admire the marriage of magic and realism, the main character’s name, Quentin Coldwater, still leaves me, um, cold. A book-smart kid from Brooklyn (something I know a little about) is far more likely to have a name like Chang, or Furci, or Jackson, or Reddy, or really, for that matter, Grossman. Like Winterbourne, Coldwater connotes someone chilled in his emotions, and “throw cold water on” means “criticize something that people are enthusiastic about,” both of which describe Quentin well. (“Coldwater Creek” and women’s apparel, less so). And the alliteration is reminiscent of real-life writer Quentin Crisp; of course, Crisp changed his name from Dennis Pratt. Quentin Coldwater is closer to Faulkner’s Quentin Compson, but for me is most reminiscent of superhero names—especially recent X-Men villain Quentin Quire—and the never ending litany of Clark Kents, Peter Parkers, Lex Luthors, and Bruce Banners. OK, Bruce Wayne doesn’t have alliteration, but he has two first names, along with Steve Rogers (Captain America) and Steve Trevor (Wonder Woman’s love interest). Speaking of Steve, Dr. Stephen Strange gets—who could have seen it coming?—mystical powers! Dr. Victor Freeze develops cold powers! 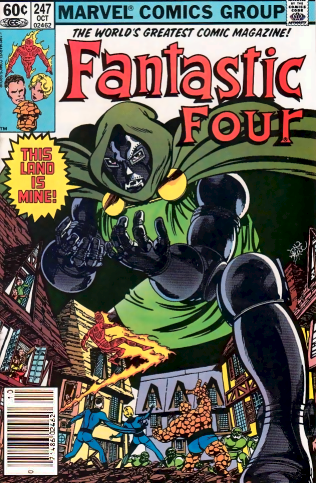 And Dr. Victor Von Doom’s parents should have changed every name involved. I don’t know what he’s a doctor of, but I’m guessing it’s not English. As J. Jonah Jameson (triple alliteration!) slyly notes, of Dr. Octopus, “Guy named Otto Octavius winds up with eight limbs. Four mechanical arms welded right onto his body. What are the odds?” Pretty good, I’d say. Would you take a college course from this man? The Wizard of Oz pits sweet but sassy Dorothy Gale (meaning: “a very strong wind”—cyclone?) against wicked Mrs. Gulch (“a rocky ravine”). The Bourne Identity’s Jason Bourne—Quentin Coldwater gets the Winter, Jason gets the Bourne—rediscovers his true self after losing his memory and becoming, quote unquote “born,” if you will, by fighting the covert operations who had previously employed him. Guy named Bourne gets amnesia. What are the odds? Lev Grossman held a contest in December on his blog to provide a last name for one of his main characters, Julia. The result: Julia Wicker. Gal named Wicker winds up becoming a witch. What are the odds? But what’s the alternative to non-symbolic names? While Hermione Granger gets both mythological allusion and a last name metaphorically fitting her reading habits, title character Harry Potter gets the Everyman treatment—no allusions, no symbolism. But then, the LACK becomes the point. His nonsymbolic name symbolizes his very ordinariness and relatability. The Big Lebowski’s unliterary name is itself funny, and like Daisy, he then anoints himself anew. (The Dude also Anoints.) I would quote Juliet’s “What’s in a name?” here, but Romeo and Juliet’s names have become symbolic, even if they didn’t start that way. When names belong to fictional characters, then, they’re either already filled with meaning, or we can’t help but fill them with meaning ourselves. Even if it would be unfair to warn women with floral names to stay away from Winterbournes , or Coldwaters, in real life. Maybe they should, just to be on the safe side. Time: 60 minutes, not counting making the My Name Is Daisy Miller image or, as usual, uploading. 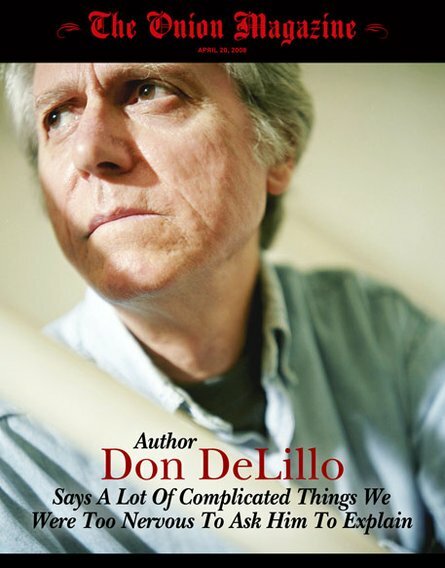 While it seems impossible to believe, some people don’t know who Don DeLillo is; or, as I say to students, he’s the most famous author they’ve never heard of. [i] And many of those people, including my non-academic acquaintances—yes, I have some—presume that Don DeLillo is dead. They’re surprised that he’s not. Their assumption raises a few interesting problems for teachers and scholars of living authors. The first is the notion that the only authors worth studying must come from a previous era, a line of reasoning that English Departments discarded decades ago but that the general public may not have. Not that they don’t read, or even prefer, living authors themselves, but that living authors don’t produce Literature, only books, and ideally bestsellers. We can’t, in this line of thinking, really know an author’s place, value, or contribution in his or her own lifetime, as though authorship were akin to sainthood. The joke, as usual I suppose, is on the professor, who, we understand through dramatic irony, only thinks she is an authority on Vonnegut’s work. Or worse, she (unknowingly) believes that she knows Vonnegut better than he knows himself. Despite decades of reader response theory and deconstruction, despite cases where authors themselves have claimed not to have understood what at they wrote at the time, despite authors admitting only a hazy notion of how their work would be interpreted, in the popular mind, the author is still the best, and maybe only, authority on his or her work. Shakespeare can’t tell you that your, say, Lacanian readings of Hamlet weren’t what he intended. Well, how could they have been? And contemporary critics understand that intentions are not the only point—if not beside the point entirely. But Don DeLillo can still tell you that your, say, ecocritical reading of White Noise isn’t what he intended. Or, as he has suggested in interviews, that he never reads critical or literary theory. And, unlike, Back to School, it would not be a joke. If students worry that they’re not entitled to form opinions on Shakespeare because his work is centuries old, endlessly discussed, and firmly canonical, they can feel equally constrained by the living author, because they can still be proven wrong, if the author only says so. Which takes me to my final problem. DeLillo, unlike, say JD Salinger (who died only recently), is not only alive but still prolific. The last decade alone has produced The Body Artist, Cosmopolis, Falling Man, Point Omega, and the new collection of short stories, compiled from 1979-2011, The Angel Esmeralda: Nine Stories. This work alone could be the envy of many authors—consider that in about the same time, Jonathan Franzen produced a single novel, Freedom; in only a little less time, Jeffery Eugenides wrote The Marriage Plot. [ii] So in addition to what I see as the indisputably Great Novels—White Noise, Libra, and Underworld—such an output is astonishing. And these works can’t help but change how I read DeLillo now. Point Omega is almost the anti-Underworld (Overworld? ), so sparse and imagistic as to be nearly inscrutable. If Underworld overwhelms readers, Point Omega underwhelms them, by design. Libra is often read as speculative fiction, a conspiracy-minded counter-narrative to the prevailing Kennedy history. But rather than taking on what could have been a similar approach to 9/11, DeLillo completely eschews paranoia in Falling Man, surrendering his anointment as chief shaman of the paranoid school of literature. And Angel Esmeralda, for me, provides the greatest pause. Perhaps I shouldn’t admit that I had never read the first story “Creation,” published in 1979, but reading it now reveals a writer interested in mixing breezy eroticism into his usual—and now, arguably since White Noise, semi-suspended—absurdist, black humor. Overall, what the collection—and the past decade’s work—demonstrates is an author who is unrepentantly alive, in all senses of the word: animated, energetic, relevant, and changing. It gives the reader a lot to live up to, and much to look forward to as well. 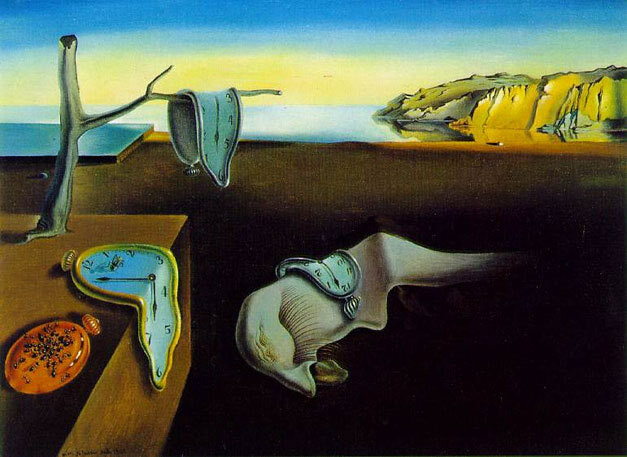 Time: OK, I have to admit that I forgot to pay attention to the clock today. I know, I know, that’s my whole schtick. Maybe 60 minutes? Probably a little over. Not too much, though. [i] Chances are that this isn’t even true, since many have not heard of Joyce or Faulkner or even Austen, but I like the line. [ii] Not that these aren’t great achievements, I hasten to add, since Franzen and Eugenides are alive and likely to get annoyed at such comparisons. 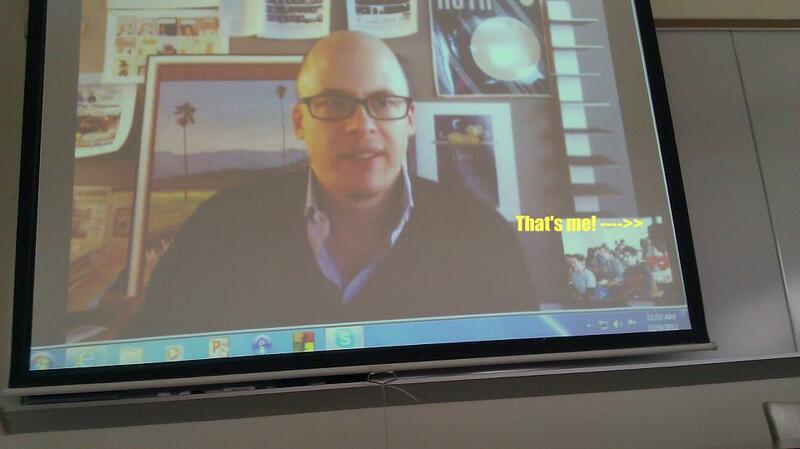 Lev Grossman during our Skype session. Forget the wizards of Hogwarts–he’s the Wizard of Oz. And so on. Scary, but, in fact, manageable, a series of reductions and equivalencies. And Mr. Arbuse had no rules about actual participation in sports. So I passed, even though I spent all year sitting in the bleachers talking about Metallica with Tommy Cassidy. Cut (no pun intended) for a moment to the end of one of my own classes, twenty-five years later and two weeks ago. Titled “Secret Worlds: Fantasy Novels and their Fans,” the class reads Peter Pan, The Lion the Witch and the Wardrobe, Harry Potter and the Prisoner of Azkaban, The Graveyard Book by Neil Gaiman, and The Magicians by Lev Grossman, with watching the movies The Wizard of Oz, Coroline, and Pan’s Labyrinth. The books and movies serve as springboards and metaphors for first-year students’ own entrance into a new, unfamiliar place. There’s magic, of course, but the books mostly revolve around life as students understand it: new schools, powerful friendships, dealing with authority figures, and rites of passage. This year, when I met him at a St. Louis reading for his new novel, The Magician King, Lev Grossman graciously and generously offered to have a Skype session with my class. And my students—both last year and this year—had very strong reactions to The Magicians, especially reading it last in sequence. If you haven’t read The Magicians, you should. Critics frequently resort to Hollywood high concept mash-ups to describe it: Slate called it “Hogwarts-goes-to-Harvard”; the Village Voice called it “Less Than Zero plus Harry Potter.” They’re right, but they also both acknowledge that novel is more than that. Magic in Harry Potter doesn’t actually affect the world much: Mrs. Weasely has self-washing dishes, wands can kill by pointing and shooting, and newspapers have moving images, as though we Muggles have to do without such extravagancies (“You mean the dishes wash—BY THEMSELVES?” “You mean you have the power to kill from a distance WITH A SMALL HANDHELD OBJECT?” etc). But JK Rowling never really asks how magic—how the power for words to affect the world in immediate, literal, physical, palpable ways—would affect our inner and outer worlds and force us to ask hard questions in the absence of fairy-tale morality and the face of real-life ambiguity. Grossman does. I’d call it Magical Realism if that term didn’t already mean something else entirely. And in our session, Lev Grossman was terrific, explaining (for what couldn’t be for the first or even tenth time) his relationship to the Narnia books, his initial motives and even doubts about the novel, and his recent meeting with Neil Gaiman, giving the impression that our course authors must loll away the afternoons over parchment and butterbeer. For all his great and funny responses, though, two stand out. First, when asked about how he felt about an upsetting and unexpected development late in the novel (no spoilers—this is the Internet, after all), Grossman reveled that he himself didn’t quite understand what he had written when he wrote it, and that unlike other parts of the book, that section came quickly and without immediate introspection. At other points, Grossman similarly demurred, suggesting that his intentions weren’t entirely clear even to himself at the time, and that even now he’s still coming to understand exactly what he wrote . This admission—which one student brought up later as a revelation—flies in the face of what many students are taught about books and their writers. Authors are not watchmakers; they don’t work in precise, mechanical ways and therefore don’t always have definitive answers about their books, or even their own motivations. Yet the Mr. Arbuses of English have drilled into too many students that reading is a set of equivalences, a scavenger hunt for Symbols—or clues, keys, secrets, decoding the correct combination to open the gym locker of Authorial Truth. All stories become a series of equal signs: yuh cut, yuh fail. If yuh don’t see that duh green light in Duh Great Gatsby is hope fur duh American dream, it counts as a cut; yuh cut, yuh fail. If yuh don’t see dat duh white whale is an unobtainable goal, counts as not seein’ duh green light, counts as a cut, yuh cut, yuh fail. In response to his recent blog post about advice for college writers, I asked Grossman what he would tell college readers. And his reply: he wants them to enjoy reading. Reading for school can take the fun out of it. And he’s right. The two responses—authors don’t have all the answers; enjoy reading—are intertwined: students hunting for the right answers and author’s intentions will detract from the one thing I do think authors intend: for readers to take pleasure in the reading experience. I worry that English classes instill Arbuse-ive values: that learning to read and write well and critically become versions of good behavior, sitting still, in uniform. Despite the convention of including a map in the inside cover of these secret worlds novels (The Magicians is no exception), Lucy Pevensie and Harry Potter have no roadmaps, no keys, and no immediate agendas to save the new world. Even Dorothy Gale doesn’t really understand where the Yellow Brick Road will take her until much later. When Lucy emerges from the wardrobe, Harry from his closet, Dorothy from her transported house, and The Magicians’ Quentin from ,well, Brooklyn, their worlds are bigger, not reduced. (OK, Alice [of Wonderland fame] does have a key, and Lyra does have a compass, but that’s for another entry). Quentin keeps looking for his purpose, his destiny, his Quest. But there isn’t one—not exactly, or at least not that he’s aware of as he’s experiencing it. At these moments, he’s less a character in a story and more of a person—and an adult. Overall, students loved the talk and loved The Magicians, which I say in agreement with Grossman is very important to me. I don’t teach books that I don’t also love. Last year, one student was absolutely convinced that the Narnia-like books within The Magicians, called Fillory, and their imagined author, “Christopher Plover” (a quasi-JM Barrie more than CS Lewis), were real, declaring as evidence that she had, in fact, read them as a child. Googling (now acceptable as a gerund) only made matters worse, thanks to Viking/Penguin’s websites for the imaginary land and the equally imagined author. It’s a testimony to how richly and deeply the Fillory lore runs through the books, and it made me appreciate that Grossman chose to write The Magicians INSTEAD of Fillory books. Despite any waxing about timelessness, Peter Pan and the Narnia books—and, already, Harry Potter—are really products of their time. Part of the point of The Magicians seems to be that you can’t go home again—not to your parents, and even to your stories. It’ something that college students learn too well, especially now, with their first winter break upon them. Showing up, in the right uniform, in the right place, on time—good enough for Mr. Arbuse—is really only the beginning. You also have to find your own answers—to your own questions. Literature, like life, is better than that. Time: Geez, I sat down and was interrupted at least six times for this one. I’m willing to call it an hour. Coming soon: The only false note I detect in The Magicians is Quentin’s last name, “Coldwater.” More on why. Two of my favorite contemporary books, Alan Moore’s Watchmen and Lev Grossman’s The Magicians, in the character within a character The Watcherwoman, use clocks and time as a central motif of mortality. I can’t go a week without another clock-as-metaphor contender—for example, Martin Scorsese’s Hugo. 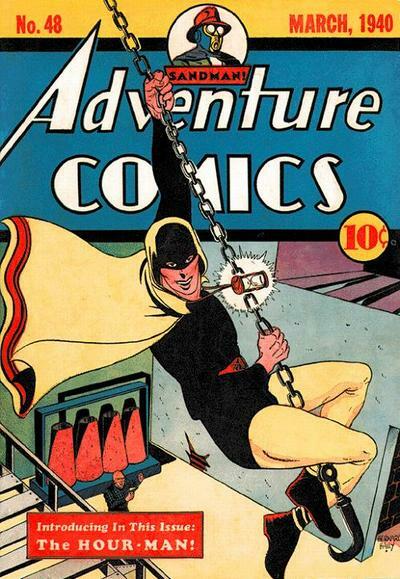 But go back further in time and meet Hourman, an obscure superhero created in 1940 and occasionally brought back as a supporting member of various super teams. He was a scientist (see also: Flash, Iron Man, Spider-man, Mr. Fantastic, Ant-Man, et al) who invents a miracle drug (named, um, Miraclo; see also: Captain America, Cloak and Dagger, Luke Cage, ad infinitum) and, of course, tests it on himself (see: Dr. Jekyll, Beast), presumably to avoid the IRB paperwork. The drug grants boring entry-level standard with the vehicle superpowers (super strength, super speed, super endurance), but—here’s the twist—only for one hour. A few things interest me about this character. First, his powers are essentially framed as a deficiency—the super lasts only an hour, unlike Superman, who’s always super, rather than against regular people, to whom it’s an hour more super than they’ll ever get [said in sassy tone]. The other thing, though, is his decision to go with the name Hourman, which seems pretty stupid for a scientist. He’s essentially advertising his weakness: “Hark ye, villains of the world! Just wait it out; I’ve only got a good hour in me,” as if Superman called himself Kryptonite Man (the name a villain would later take pretty much just to screw with Superman’s psyche). Later writers would also turn Hourman into a Miraclo junkie, kill him off, bring him back, reboot him, and make him time travel (last one: fair enough with the name), same as everyone else in Hollywood. Think of how different Hourman is from Sixty Minute Man, from the 1951 song. The names are nearly identical, but whereas Hourman has powers for ONLY an hour, 60 Minute Man has powers prowess for a WHOLE HOUR! I’m still amazed at how explicit the song is for its time. Also, how awesome. But taken together, Hourman and Sixty Minute Man present a nicely double sided pair and image—an hour is on the one hand never enough, but it can be, um, a fine, long time as well. And so that’s my operative image for the page. I’ll be writing about popular culture—books, movies, music, and television—for no more than one-hour sittings, and I’ll try to keep track of the time. Writing this blog for me is really an experiment in process, like the freewriting exercises created and espoused by writers like Peter Elbow and Natalie Goldberg. Except my goal isn’t words on the page as much as expressing a particular idea for a particular amount of time. The point of my hour is not to force me to produce, although it’s that too, but also to force me to stop. Writing time is like dog years—you sit down to spend ten minutes tweaking and realize that seventy minutes have gone by. For something that I’d write for publication, I could spend an hour on a page, or a sometimes rewriting or re-punctuating a sentence. Hell, I’ve spent an hour just rereading something I’ve written without making any changes at all. So that hour is both a self imposed limitation as well as an endurance test. And when I take less than an hour, which I hope to for this entry and maybe others, I’ll indicate the time at the end. So maybe you won’t turn into an addict, or holler don’t stop, but maybe you’ll return for another episode. Time: 40 minutes, not including getting the basics of the blog formatting down. That took forever.